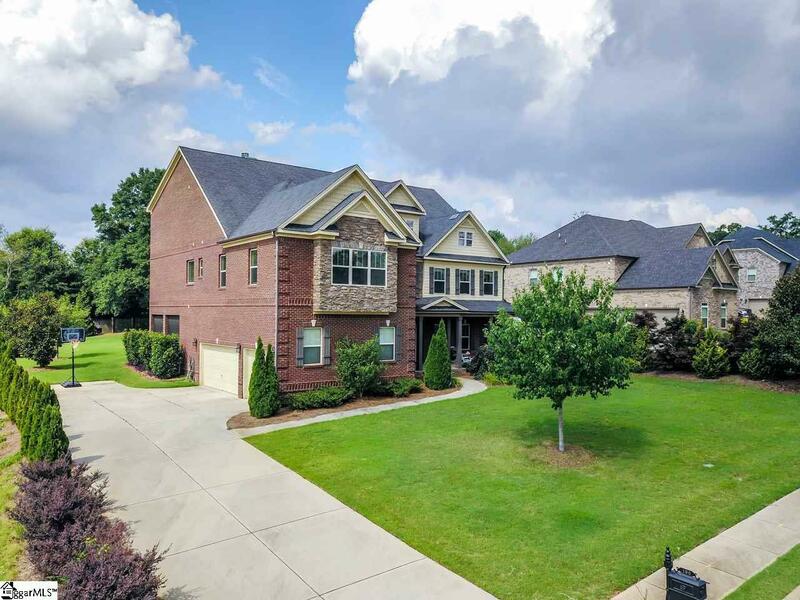 Youll be impressed with the amount of indoor and outdoor living space at this amazing property in an outstanding location in Five Forks. 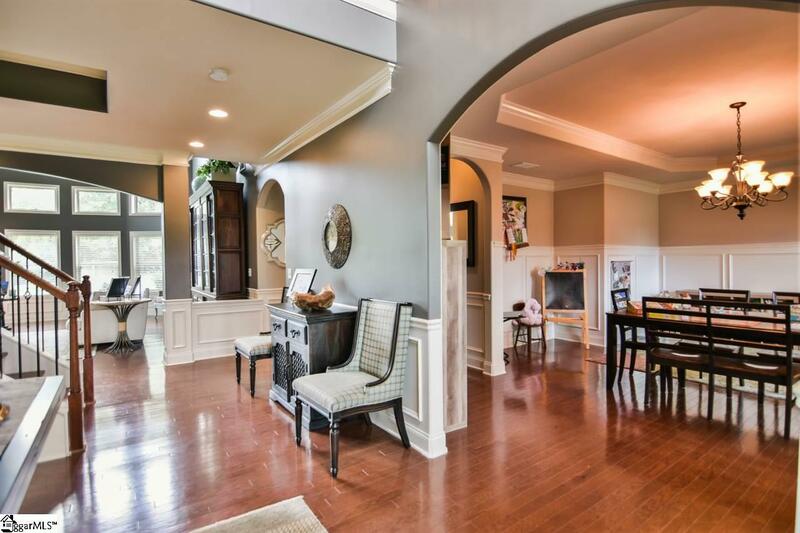 The moment you enter the two-story Foyer with large greeting area youll want to see more. The large Kitchen and Breakfast Rooms are open to the Great Room to allow for great entertaining with family and friends, so all can be involved. 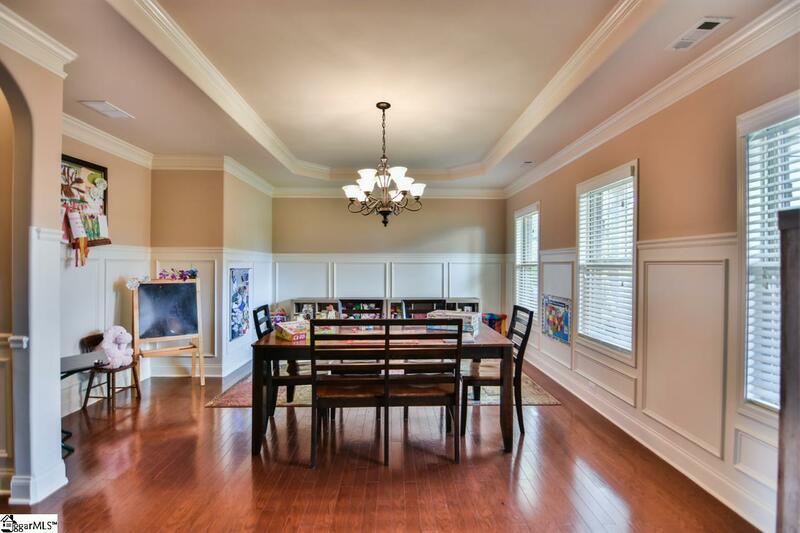 The Dining Room just off the Kitchen can accommodate extra-large gatherings. The 2 story Great Room with a wall of windows allows so much natural sunlight to pour in on the massive floor to ceiling stone fireplace. The Master Suite with Sitting Room and fireplace hosts a huge custom walk in closet. All the secondary bedrooms are well above average size to accommodate large beds and additional furniture with space to spare. The Large Media Room provides the perfect place for friends and family to enjoy great films together. The Bonus Room is large enough to do anything you like such as pool table, ping pong table, crafts, library, or an amazing office. There have been generous amounts of recessed lighting added throughout the home. The covered back patio with built-in grill is an awesome place to prepare and have meals outdoors. How about the screen porch with fireplace to enjoy the outdoors even in the cooler weather? The 3 Car Garage has lots of storage shelving and space to keep yard equipment organized. The large private back yard is a great place for outdoor games, pets, children or even install an in-ground pool. The large picturesque Oak Tree in the back yard offers an eye pleasing backdrop from inside the home. Additional landscaping such as plants, shrubs offer a natural perimeter to the lot and trees such as Magnolias and Kwanzan Cheery Trees offer a pop of color in the spring. Asking Price below appraised value of Appraisal done on 7-16-18. It wont last long.